NASHVILLE, Tenn. (October 27, 2017) — It’s taken six months and three producers to find the rock-infused country sound that Kalie Shorr has been looking for, but she’s finally found it and it’s going to be a game changer. “Two Hands,” the first single off of her highly-anticipated project, premiered exclusively on Radio Disney Country’s ‘Spotlight’ show followed by immediate rotation on Radio Disney Country. Fans can hear the song now on iTunes, Apple Music, Spotify and Amazon Music. “I’ve always known ‘Two Hands’ was special. I was so excited the day I wrote it because it was the first love song I had ever written that felt honest to the way I fall in love. I’ve always loved the darker side of writing – whether it’s sassy, or angsty, or moody – but this one still incorporates all of that. Love itself is so complex and crazy and messy – and so am I. 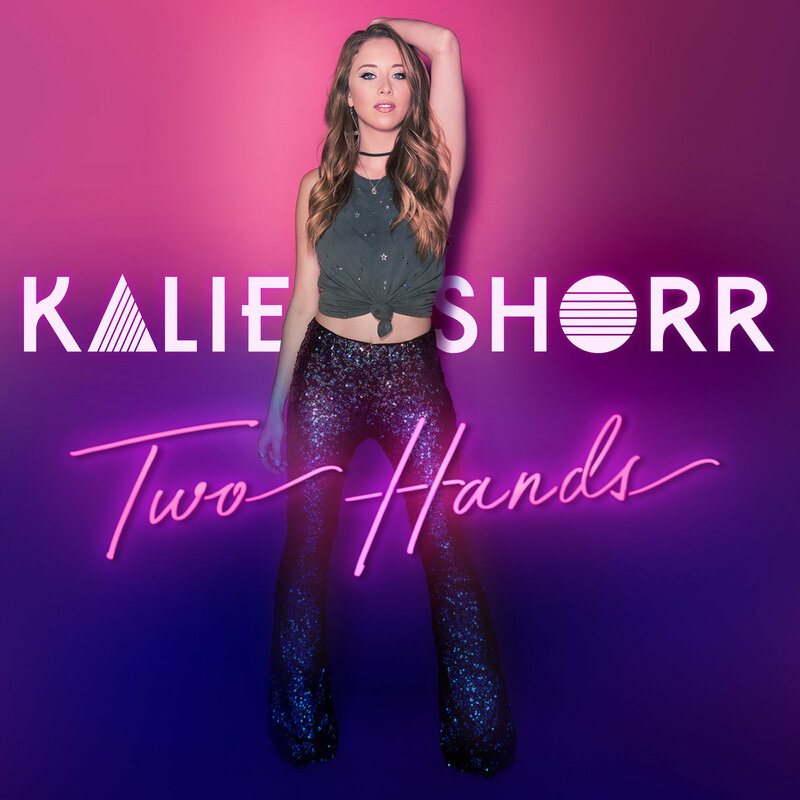 ‘Two Hands’ is about being yourself, owning your strengths and weaknesses, and celebrating the people who love you for all that you are,” expresses Kalie. Streaming support has played a huge part in Shorr’s success and is continuing to grow her fan base exponentially. Currently #1 on Breaking Country and added on Cool Country playlists on Apple Music. You can also find her music on Spotify, and download on Amazon Music. As tour dates continue to be announced you can stay current with Kalie on Instagram, Twitter and Facebook. Be sure to follow her on Youtube and visit www.kalieshorr.com. Kalie Shorr burst onto the Nashville music scene in 2016 with her self-penned hit “Fight Like A Girl”. The Portland, Maine singer-songwriter became a Sirius XM Highway Find and was praised by Spotify, CMT, Radio Disney Country, Taste of Country, and even Billboard magazine. In 2017, Kalie released her Slingshot EP to rave reviews and was named a “New Artist You Need To Know” by Rolling Stone, “The New Nashville” by Teen Vogue, and one of “2017’s Hottest Artists Under 25” by Taste of Country. Her new single “Two Hands” just premiered on Radio Disney Country and will be followed by a new EP in late 2017. Playing over 100 shows a year, Kalie’s message of female-empowerment has led to her being called the “next ‘Women of Country’ generation” [CMChat].